Updated: 4:35 p.m. | Posted: 2:33 p.m. 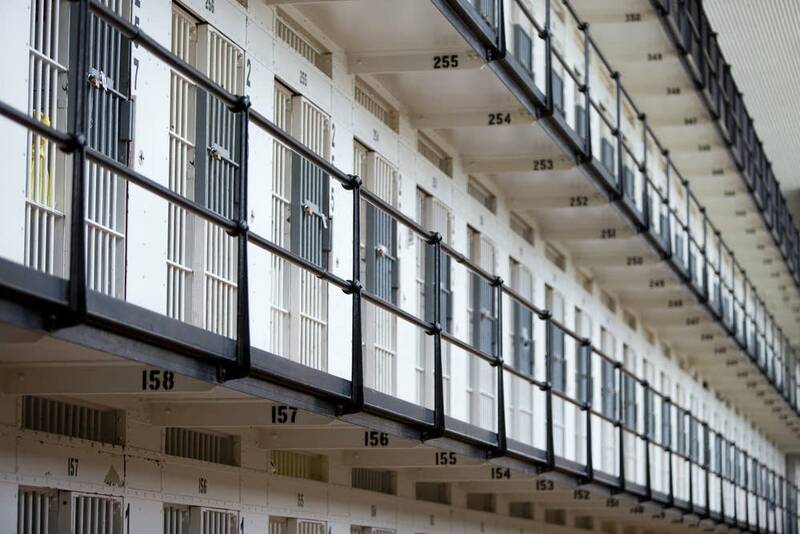 The union representing corrections officers in Minnesota prisons demanded the state hire more staff to address what it calls unsafe conditions. The AFSCME Council 5 Correctional Policy Committee said Wednesday in a news conference with reporters the conditions that led to the death of Officer Joseph Gomm last month continue. Gomm was allegedly attacked and killed by an inmate in an industrial area of Stillwater prison on July 18. Authorities say the lone suspect, Edward Muhammad Johnson, has been moved to the prison in Oak Park Heights. The Washington County Attorney plans to bring charges against him after the Minnesota Bureau of Criminal Apprehension has completed its investigation. The correctional officers who make up the policy committee within AFSCME said in a statement that "assaults on staff have skyrocketed since January." They also listed staffing levels at Stillwater, a close-security facility, of four officers for 280 inmates in some blocks, and at Moose Lake, "we can have 400 inmates with two staff in the yard." John Hillyard, a Stillwater corrections officer and leader with AFSCME, said "stay tuned" for possible job actions if prison guard demands not met. But as essential employees, "we do not strike." The demands also included filling open staff positions, and that management at the prisons stop requiring staff work overtime to fill personnel gaps. Department of Corrections officials released a statement saying, "We agree we are in need of many more corrections officers in our facilities statewide. Our staffing analysis indicates we need at least 150 more officers, and over the years we have repeatedly asked the Legislature for these funds." State Sen. Warren Limmer, R-Maple Grove, called for the investigation into what happened to Gomm to determine whether staffing played a role. "The Department of Corrections received an 18 percent increase in funding in the past four years. As a former correctional officer, I can say with authority that it's a dangerous job," Limmer said in an emailed statement. But the chair of the Senate Judiciary and Public Safety Committee added that a number of questions should be answered, including whether Johnson should have been in the area and whether other inmates may have been involved. Gomm died in an industrial area of Stillwater. One the demands specified that "MINNCOR no longer be allowed to dictate that they will keep the industrial shops open when we are short-staffed. We recognized the need for inmate programming, but not at the expense of the safety of our correctional workers." The union also insisted there be more cameras in industry areas. Corrections Commissioner Tom Roy said last week that the area of the industry building where Gomm died will remain closed under the current administration. Beyond staffing, the union said it wants the prison system to get rid of the 90-day stepdown program, saying that despite its warnings, the Minnesota Department of Corrections changed its policy on holding prisoners in isolation.